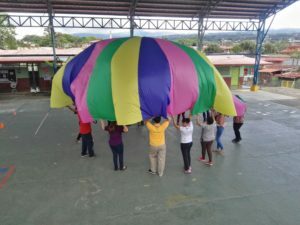 Currently, Costa Rica does not escape the epidemic of overweight and obesity, experiencing an increase in the incidence and prevalence of childhood overweight and obesity. This is corroborated by reviewing some data such as those published by the 1996 National Nutrition Survey, which indicated that 14.9% of children of school age were overweight. This value was increased in the same survey for the year 2008-2009, where 21.3% of schoolchildren already had these conditions (Ministry of Health of Costa Rica, 2009). 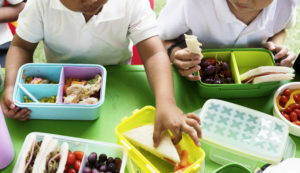 In 2014 according to research funded by the International Atomic Agency, which was in charge of the School of Nutrition and the Institute of Health Research, both belonging to the University of Costa Rica (UCR), estimated that the level of overweight and Obesity was found in 29.1% of boys and girls between 6 and 12 years of age (Nación, 2014). In reference to the year 2016 the First School Weight / Height Costa Rica Survey revealed that these figures increased to 34% in the school population from 6 to 12 years of age, being Heredia the province with the highest prevalence of overweight and obesity with a 35 , 7%, specifically in the cantons of Santo Domingo, San Isidro, Barva and San Pablo (Ministry of Health, Ministry of Public Education, National Directorate of Education and Nutrition Centers of Children’s Centers for Comprehensive Care and the United Nations Fund for Children, 2016). 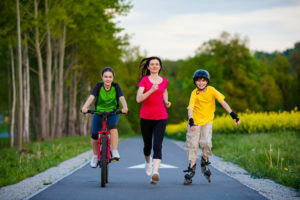 Although regular physical activity reduces the risk of chronic disease, including some types of cancer, diabetes, obesity and cardiovascular disease (Janse, et al, 2010) there is evidence that levels of physical activity continue to decline between population, in most parts of the world, of special concern is the evidence that children have seen increased levels of sedentary lifestyle, which leads to a sedentary lifestyle at an early age (Gordon, et al, 2004). Many interventions aimed at increasing physical activity in the school environment have been developed and implemented in a variety of countries (Stone, et al., 1998, Salmon, et al., 2007). These studies have shown great efficiency in the use of physical activity in boys and girls, in relation to the reduction of risk factors of degenerative diseases, in the treatment of diabetes mellitus and the decrease of sedentary levels (Mahoney, et al. al., 1991; Eptein, 1996; Whitaker, et al., 1997; Rippe, et al., 1998; Pate, et al., 1999; Caballero, et al., 2003; Young, et al., 2006); However, programs and interventions to promote school health and intervention in school populations that are overweight or obese are difficult to sustain and are not anchored in the school reality, which makes it necessary to develop sustainable options, which take into account the whole school population, in multiple spheres of influence, at the same time (Kumanyika, 2001; Goran, et al., 1999). 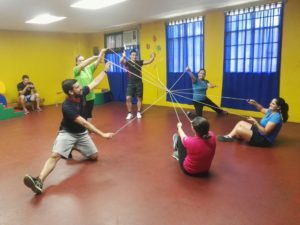 In a review of interventions in the school context in Latin America, we found evidence that by modifying the structure of the physical education class, significant changes in the levels of moderate physical activity of students during physical education classes can be achieved. However, the above findings do not guarantee that the movement patterns of children are altered outside the classroom in other physical environments, so Ward, et al. (2007) recommended the use of ecological models with the aim of impacting several levels in the school structure, to achieve better results in school interventions that aim to increase the movement patterns of children. Different types of programs that promote physical activity can be observed. The socio-ecological approach emphasizes that health promotion should focus not only on intrapersonal behavioral factors, but also on multiple-level factors that influence the specific behavior in question. Thus, the socio-ecological model focuses on the relationships between individuals and the social, physical and political environment (Ward, et al., 2007) using social theories as established by the National (Institute for Healt hand Clinical Excellence, 2007). In order to increase physical activity in school populations with the aforementioned problems, health promotion and intervention efforts should focus not only on each individual’s behavioral options, but also factors that influence those decisions (Gregson, Foerster, Orr, Jones, et al, 2001). These factors act from various spheres of influence, including public policy, institutional / organizational, community, interpersonal, as well as at the individual level. 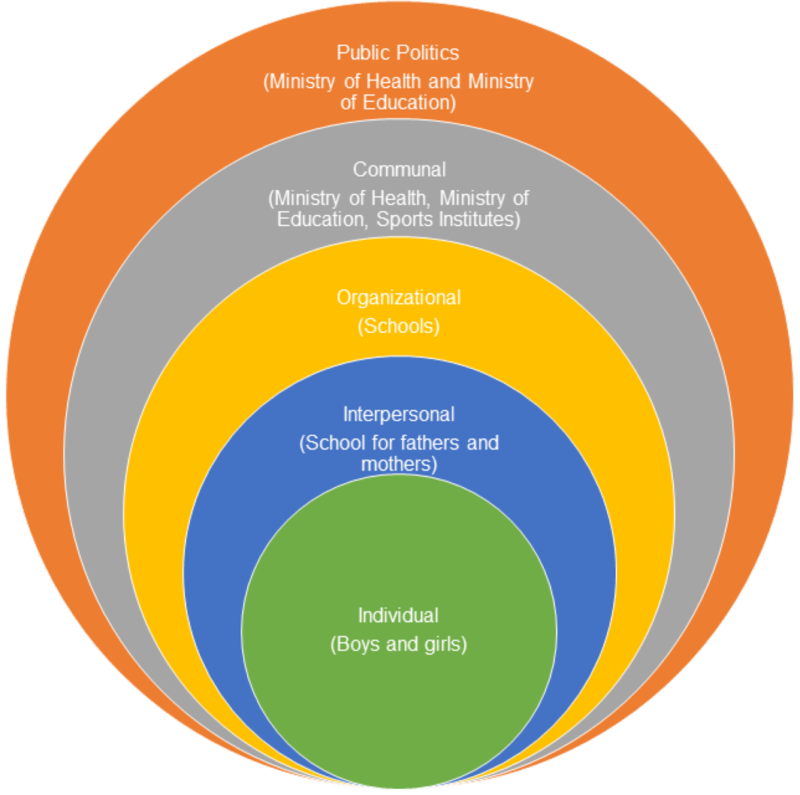 This social ecological perspective helps us identify opportunities for health promotion and intervention, by understanding the factors that influence behavior at each level of the social ecological model and by recognizing that the behavior of an individual both forms , and is made up of multiple levels of influence. This is a proposal that seeks to promote active lifestyles in the school population using the Ecological Model for the influence of multiple levels. 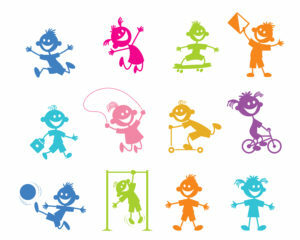 School efforts are articulated to create a “School in Motion” beginning with school policies that encourage movement, followed by a reorganization of school spaces that encourage physical activity, establishing recreational spaces, with a quality physical education that it contemplates the acquisition of motor and behavioral skills in children that counteract physical-environmental barriers. Develop healthy areas of movement in the levels of intrapersonal, interpersonal, organizational, communal and public policy influence of participating schools. 1. Six schools that adopt the model of schools in movement. 2. A manual for administrators and faculty to be able to implement in other similar contexts. 3. A meeting of results to future commissions of local health promotion in the model of schools in movement. Dr. Carlos Álvarez Bogantes, School of Sciences of the Human Movement and Quality of Life, National University. MSc. Emmanuel Herrera González, School of Sciences of the Human Movement and Quality of Life, National University. Start of the project: The project will begin in March 2018. 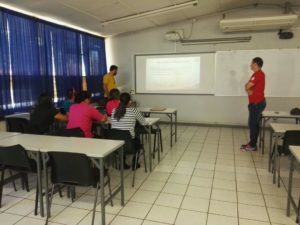 During the months of May and June of 2018, a series of workshops were held for the teaching and administrative staff of the six schools involved in the project. We worked on topics such as self-care, teamwork and the importance of the game. The physical education teachers of the project also had training sessions. 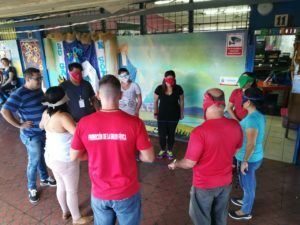 These were carried out in the facilities of the School of Human Movement and Quality of Life of the National University in Lagunilla de Heredia. 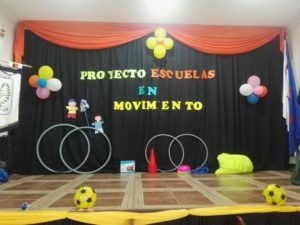 During the month of July, the project was launched in the six schools. In addition, the necessary materials were delivered to carry out the activities. 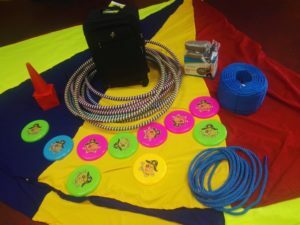 Among the materials delivered are hula hoops, ropes, cones, gym balls, frisbees and a suitcase so they can store the materials.